Why set up a Club? Freediving can be dangerous and should never be attempted without formal training. Never freedive alone. Setting up a Club involves organising a group of people to freedive together on a regular basis. As a group, you are still free to decide where you want to freedive, when and how but there is the additional safety and fun of having fellow freedivers around. The BFA Committee and other established clubs are keen to offer you advice on how best to get started. If you do set up your own club, please send us the details so that we can add your club to our website. Why become a BFA Affliated Club and how? The following should provide some basic assistance in setting up a club. Different pools have very different policy on the rental of space for clubs, at varying costs. If you are beginning with the club and do not have the numbers to support the pool fees, it may be worth contacting your local scuba club to ask about some space in their pool training sessions. This will also generate interest from the scuba community. You could also try renting a lane or two rather than the whole pool. It is extremely important that your new club members have a basic training standard in freediving. Under no circumstances should any one who is not a qualified AIDA instructor be taking any complete beginners into the water. If you are running a club and are not an AIDA instructor, refer to the BFA website to find the names of instructors locally who could organize an induction course for your club. The safe practice guide- lines recommended by the BFA should be respected at all times during club sessions. Every swimming pool has slightly different requirements for what it needs in terms of liability release and risk assessment. It is important that this is addressed individually in every case. 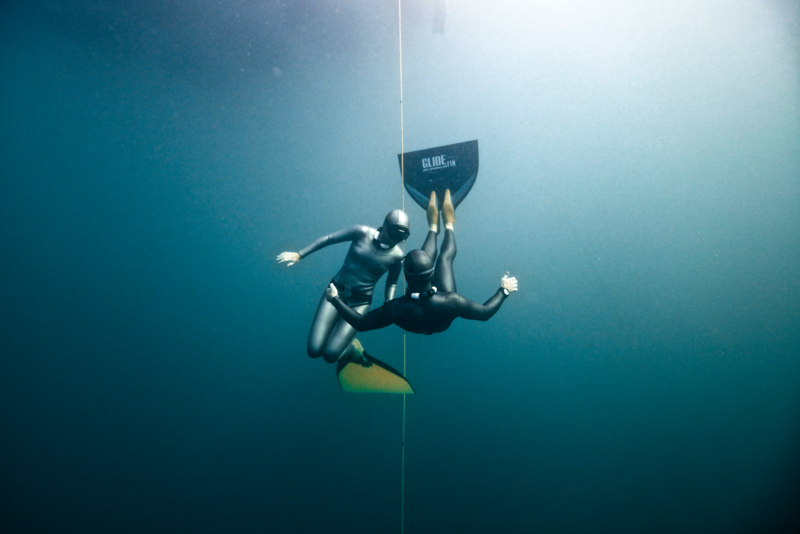 The British Freediving association has a basic liability release and medical statement form that should be filled in by every club member, before entering the water. One of the benefits of encouraging club attendants to become BFA members is that individuals have a basic personal insurance policy. However this is not an umbrella policy for the running of a club.